I started collecting baseball cards in 1984 (the year this card came out) and when I pulled this particular card from its pack, it became an instant favorite. I loved it so much as a kid that I had it hung up on a bulletin board in my bedroom. You have no idea how much of a thrill it was for me 15 years later to meet Steve Lake and have him sign it for me. 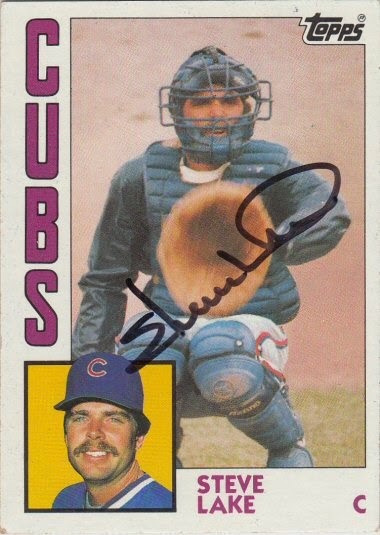 Steve signed a 1984 Topps card #691. Love Steve Lake! Great autograph!